My favorite part of making dessert is to share them. I love making them, but I really don't like having them sit around for me to eat them. So these get to be shared at a boat outing this weekend, we'll see what everyone thinks of them. They have both white and dark chocolate, and the white chocolate really provides a nice accent to the peanut butter. Preheat the oven to 350°F. Line a 9x9 inch pan with foil, allowing the it to hang over the edge for easy removal. Lightly grease or spray the foil. Place the butter in a heatproof bowl over simmering water (double boiler style.) Once the butter has melted, remove it from the heat and add the chopped white chocolate. Keep stirring until the chocolate softens. If you need to, place the bowl over the simmering water again but be careful. White chocolate is sensitive to scorching and you don't want it to separate from the butter. Stir in the sugar until well blended. Add the vanilla and salt. Mix well. Let the mixture cool to lukewarm. Beat in the eggs, one at a time. Add the peanut butter and beat till incorporated. In a separate bowl, whisk together the flour and baking powder. Stir into the egg mixture. Stir in 3/4 cup of the chocolate chunks. Spoon the batter into a greased 9" square pan, and sprinkle the remaining chocolate chunks over the top. Bake the brownies for 25 minutes, until they're light golden brown and the edges pull just slightly away from the pan. Remove from the oven, and cool before cutting. 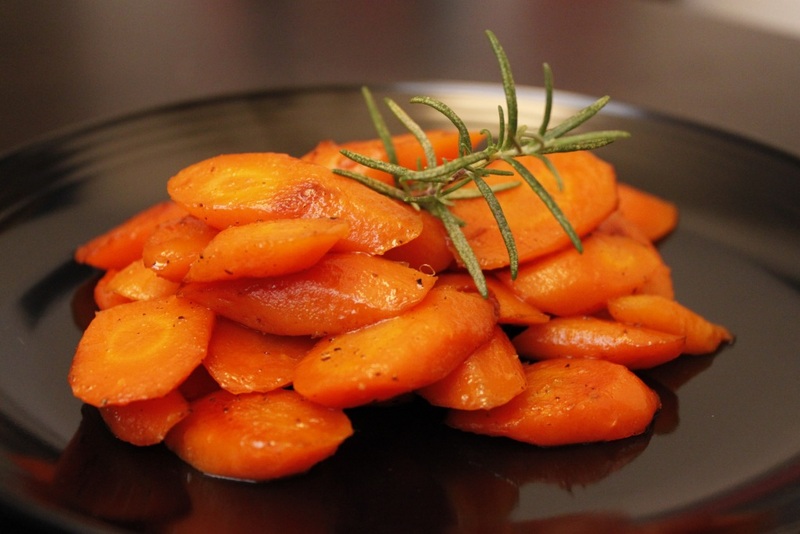 I love when carrots are tender and sweet, when they've been roasted with meat in the oven for a long time, but sometimes I'm not roasting anything else, so I've found a great recipe that achieves the same taste, but on the stovetop and in less time! They're sweet and tender and have a hint of rosemary flavor. Heat the oil in a 10-inch skillet over medium-high heat until shimmering. Add the carrots, 1/4 teaspoon salt, and 1/8 teaspoon pepper, and cook, stirring occasionally until the carrots are golden brown, about 8 to 10 minutes. Stir in the broth and sugar, then add the rosemary sprig and bring to a simmer. Reduce heat to medium-low, cover, and cook, stirring carefully, until the carrots are tender, 6 to 10 minutes. Uncover, remove and discard the rosemary sprig, and continue to cook until the liquid evaporates, about 1 minute. Season with salt and pepper to taste and serve. I just got a new cookbook with recipes all scaled down for 2 servings, so yay for not eating the same meal several nights in a row. 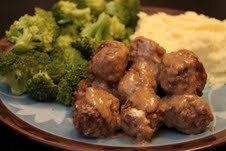 This Swedish meatball recipe sounded odd at first with some of the spices, but the end result was amazing, I loved it. 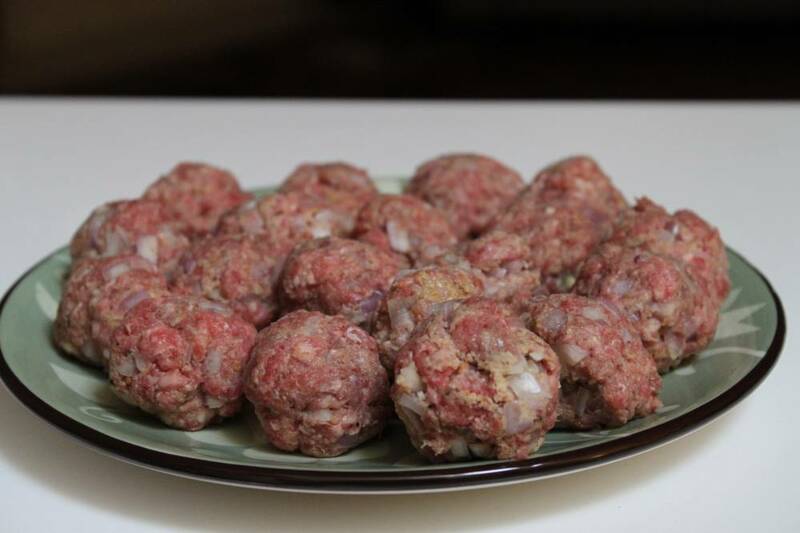 In a medium bowl, mix the ground beef and veal with a fork just until combined. 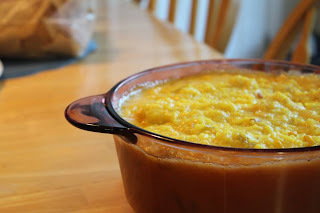 Mix in the egg yolk, shallots, bread crumbs, milk, 1/2 teaspoon of the salt, nutmeg, and 1/4 teaspoon of the pepper just until combined, but not so much that the meat fibers break apart into mush. Form this mixture by tablespoons into 20 or so balls; set them aside. In a small bowl, mix the flour with the remaining 1/4 teaspoon of salt, the remaining 1/4 teaspoon of pepper, the allspice, and cloves; set aside. To concentrate its flavors, bring the beef stock to a boil in a small saucepan set over high heat. Boil for about 5 minutes, or until reduced to 1 cup. Set aside, covered, to keep warm. Melt the butter in a large skillet or saute pan set over medium heat. Add the meatballs and saute for about 4 minutes, or until browned, turning occasionally. Use a fine-mesh sieve or strainer to sift the prepared flour and spice mixture over the meatballs. Shake the skillet once or twice to mix any flour with the fat in the pan (stirring the mixture can break up the meatballs). Continue cooking for 1 minute, shaking the pan frequently; then pour in the reduced stock. Again, shake the pan a few times to combine the stock and the flour and to distribute the mixture evenly. Reduce the heat to low and simmer, uncovered, for 10 minutes, basting the meatballs often with the sauce. Stir in the sour cream, cover, and immediately remove the pan from the heat. Let stand for 5 minutes before serving. The would be great with hot noodles, but I served mine with mashed gold yukon potatoes and steamed broccoli. I made yummy bread the other day and while bread may seem imposing, it's really very easy with the mixer and a little time. I will say, the taste and smell of fresh baked bread is entirely worth the time and effort. I made two loaves, one plain and one with a cinnamon swirl. The recipe for both is below. 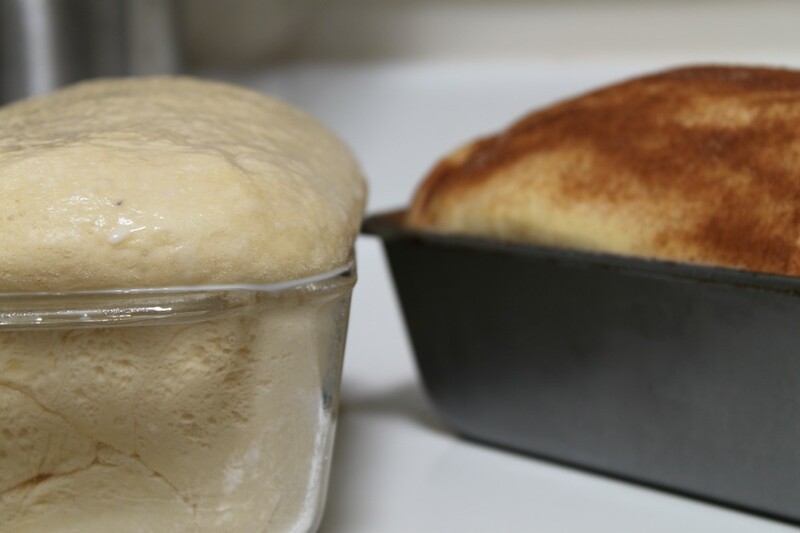 Combine the warm water and yeast in a large bowl or the bowl of a heavy-duty mixer and let stand until the yeast is dissolved, about 5 minutes. Mix by hand or on low speed for 1 minute. Gradually stir in 2 cups of flour. Gradually add 1 1/2 to 2 more cups of flour until dough is moist but not sticky. Knead for about 10 minutes by hand or with the dough hook on low to medium speed until the dough is smooth and elastic. Transfer the dough to an oiled bowl and turn it once to coat with oil. Cover loosely with greased plastic wrap or a clean cloth and let rise in a warm place (75 to 85 degrees F) until doubled in bulk, about 1 hour. Brush the surface of the dough with oil, cover loosely with greased plastic wrap, and let rise in a warm place until doubled in bulk, 1 to 1 1/2 hours. Preheat the oven to 375 degrees F. Brush the top of the loaf with melted butter or milk. 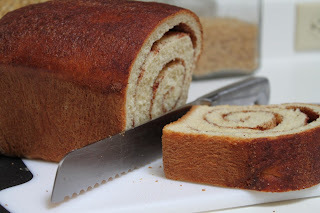 (For cinnamon bread, sprinkle the remaining 2 tablespoons of cinnamon-sugar mixture on top). Bake until the crust is deep golden brown and the bottom of the loaf sound hollow when tapped, 35 to 45 minutes. Remove the loaf from the pan to a rack to let cool completely. 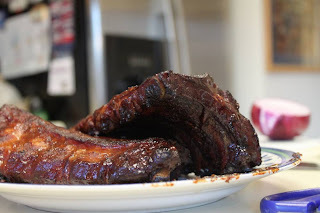 This recipe is really great for a potluck, it's easy, pretty cheap and tasty. Preheat oven to 350°. Prepare yellow rice according to directions on package. Stir in next four ingredients. Transfer to an oven safe dish and bake at 350° for 20 minutes or until hot and bubbly. Combine all ingredients in a bowl and enjoy!